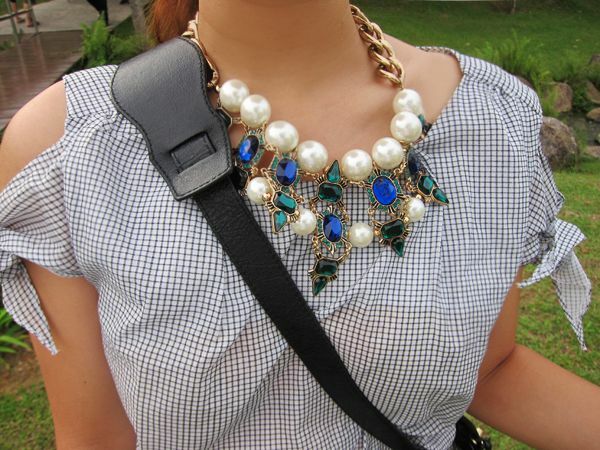 Revel in me...: The day I turned 10 shades darker. 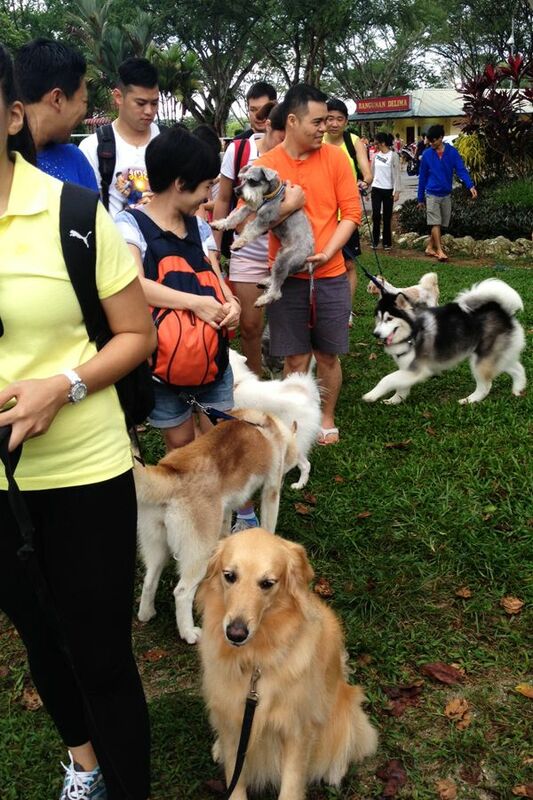 Brought Rocky to one of the biggest doggie event in Malaysia, Dogathon 2013, on Sunday! If you wonder how much we love him, try imagining waking up at 6am on a Sunday morning and you will have your answer wtf. So many dogs! There are definitely a few hundred (maybe even a thousand?) dogs at least! The event aims to raise funds for the “Catch, Neuter and Release” program under PRO-KASIH. It was great to do some charity on a weekend, plus we get to let Rocky meet new friends! I swear to god that Rocky is the friendliest dog EVER-- he just adores and thrives on doggie company! He is the happiest when we bring him to dog parks like Desa Park city and during obedience class with all his doggie classmates. In fact, the bigger the dog, the better. -_- He will march up to enormous dogs like huskies and German shepherds and start wagging his little tail stump, in his happiest "let's be FWENS!!!" dog grin. Sigh. It was a really fun day, but the result of it is one very tired panting dog, and one very tanned couple FOL. 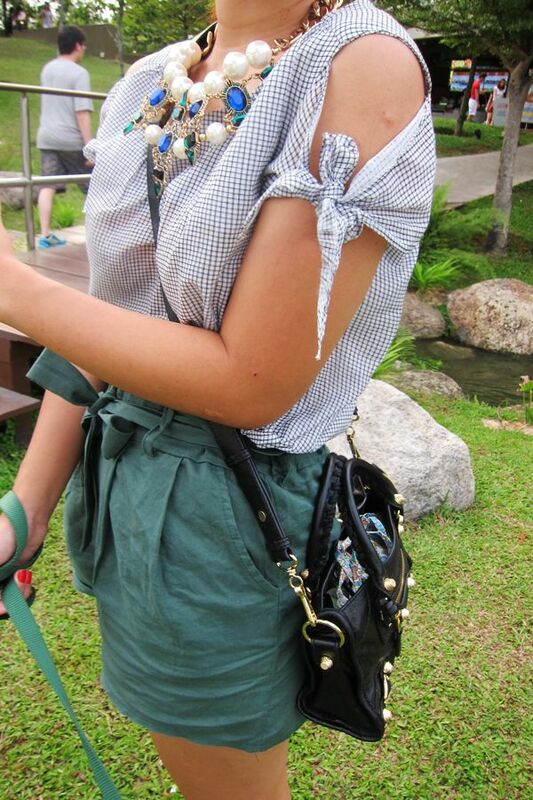 Anyway, since we are on the subject of dogs, I will just post up an outfit that I wore while walking Rocky at the park. Do you know what my Balenciaga bag is stuffed with? Dog treats and dog poop bag. Sigh. 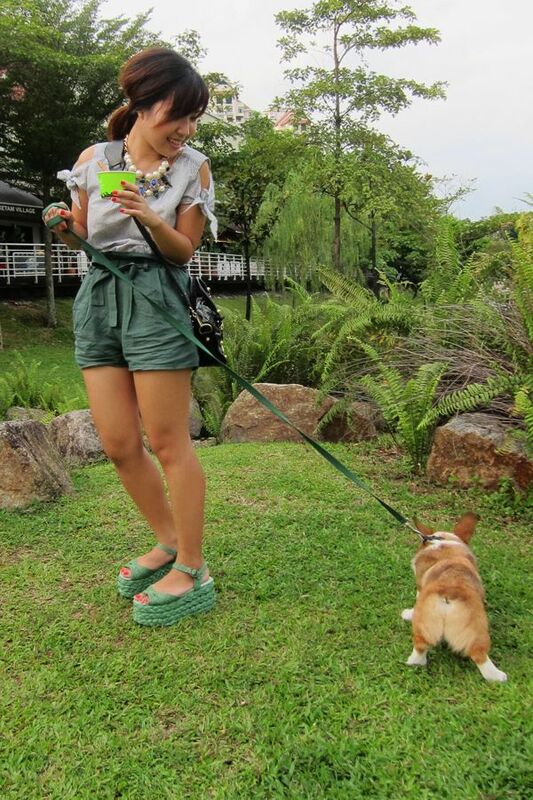 Forget about glam moments when you have a dog! No manners this dog, show his bum bum to you all wtf.